Depending on what parcel sparks your fancy, you can build your dream home on nothing less than four acres. 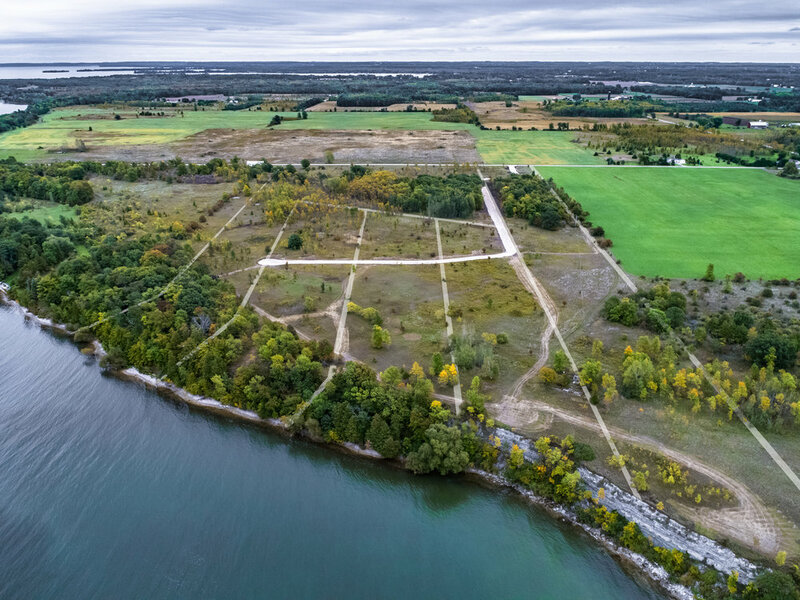 S.C. Swiderski Land Company’s remaining parcels consist of four, ten and fourteen acres with over 220’ of water frontage at each one. All building sites are perked for a mound system with new private road and underground electric. Plus, there is enough room for you to have your own private walking trails if desired! With a pretty-much-perfect location, the recreational opportunities for the entire family are great! The location is ideal for fishing, kayaking, canoeing, swimming, boating and pontooning – to simply name a few. All properties are conveniently located near local happenings and fun! A drive to the bustling city of Green Bay is just 35 minutes away, where you can easily cheer on the Green Bay Packers at a home game. Or, cruise on over to the cherry-lovin’ city of Sturgeon Bay that is a 15 minute ride. Nearby Restaurants, Wineries and More! Depending on what direction you want to head, finding a well-loved restaurant or winery isn’t a difficult task. Door 44 Winery located 18.1 miles away from the property at 4020 State Hwy 42/57 is a necessary stop for anyone visiting Door County and for those looking to sample some new wines, for example. There is no shortage of places to dine at, find some local cheese joints and sip the much loved win choices in town! Find more detailed information about our remaining parcels at Sunset Bay Acres, visit our webpage!